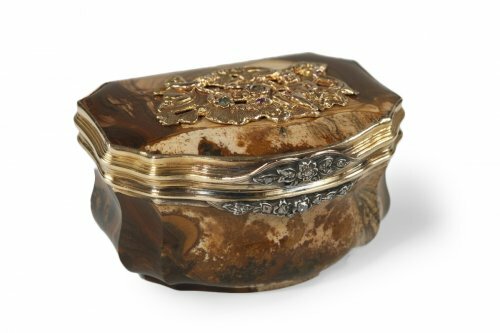 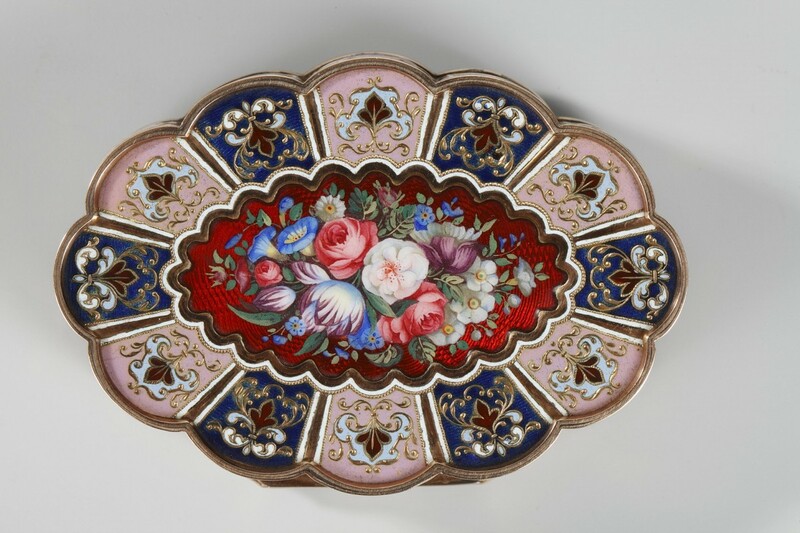 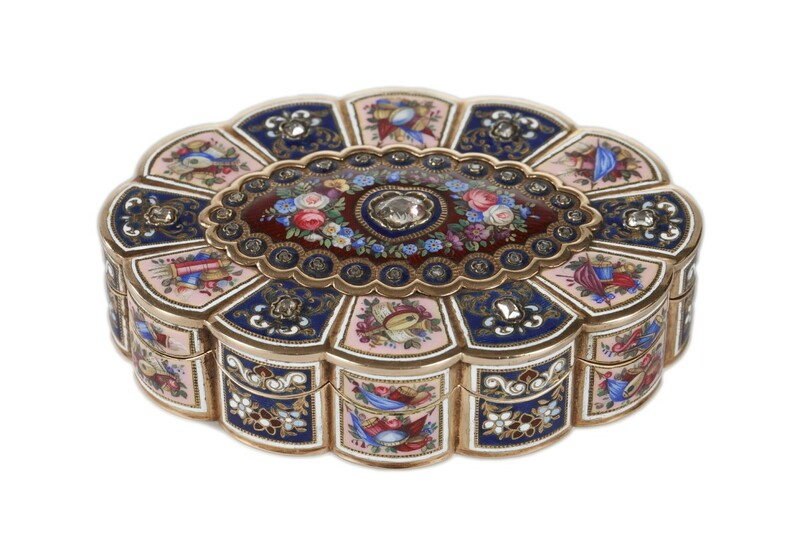 Oval snuff box with scalloped edges in multicolored enameled gold and precious stones. 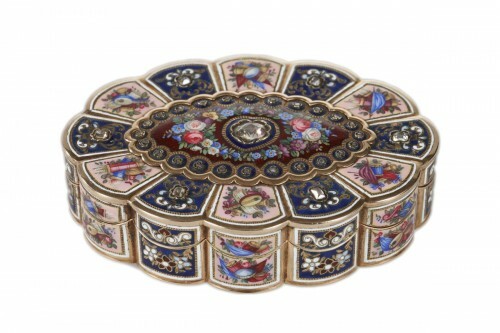 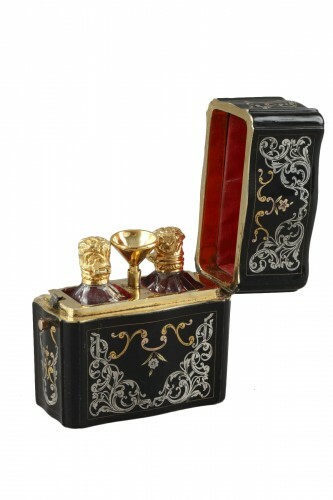 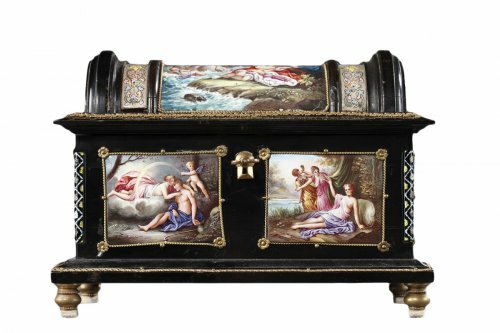 The hinged lid is decorated with enamel panels depicting musical instruments and military symbols on a pink background. 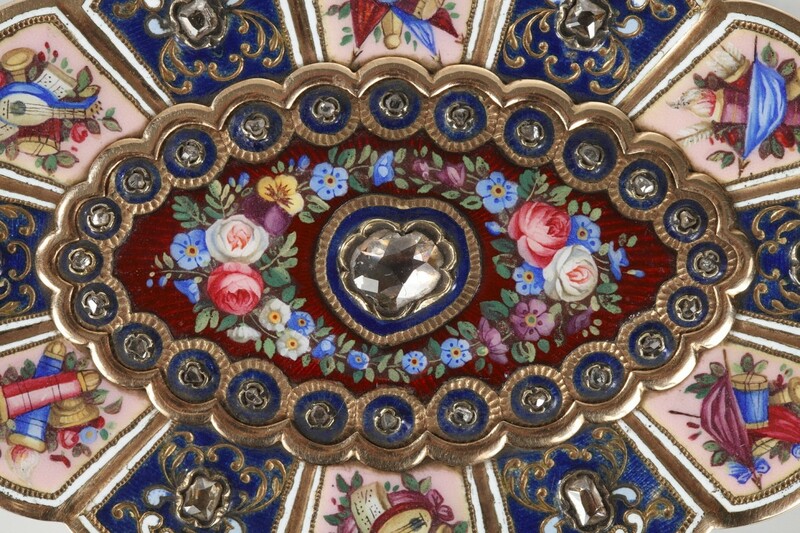 These panels alternate with royal blue, translucent enamel panels that are accented with rinceaux and antique cut diamonds. The central medallion on the cover is embellished with a floral frieze on a red, translucent enamel background. This medallion is framed in a ring of antique cut diamonds, and a larger diamond completes the composition in the center of the medallion. 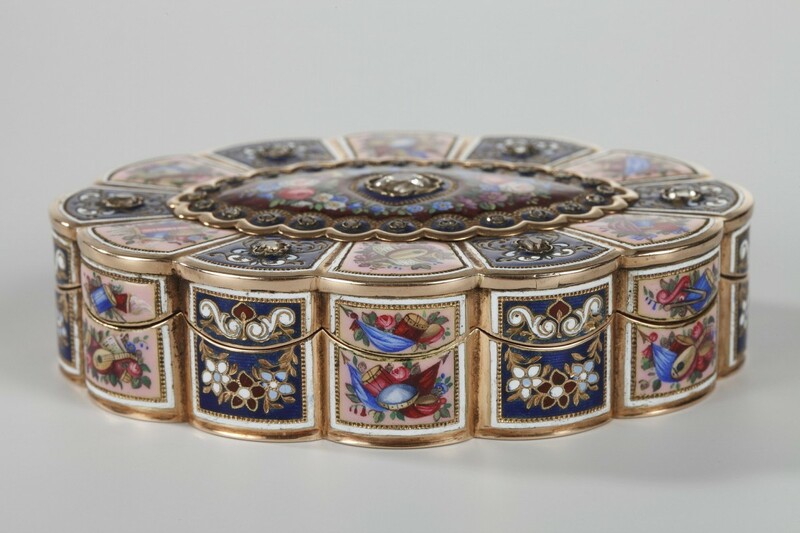 The scalloped sides of the box repeat the alternating motifs of instruments and rinceaux. 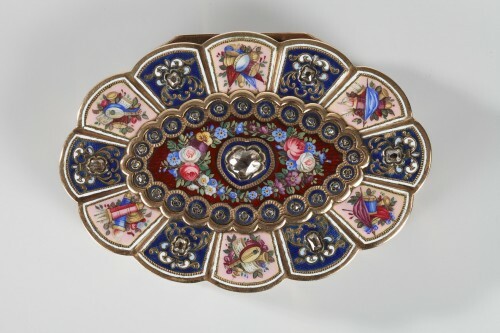 The bottom of the box repeats the floral frieze and red, translucent enamel over gold seen on the cover, as well as the alternating pink and blue with their accompanying motifs. 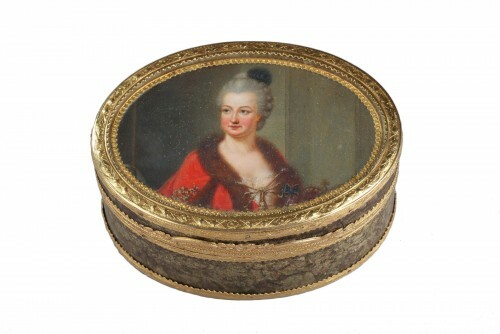 L: 3.1 in (8 cm) / W: 2 in (5.2 cm) / H: 0.6 in (1.6 cm). 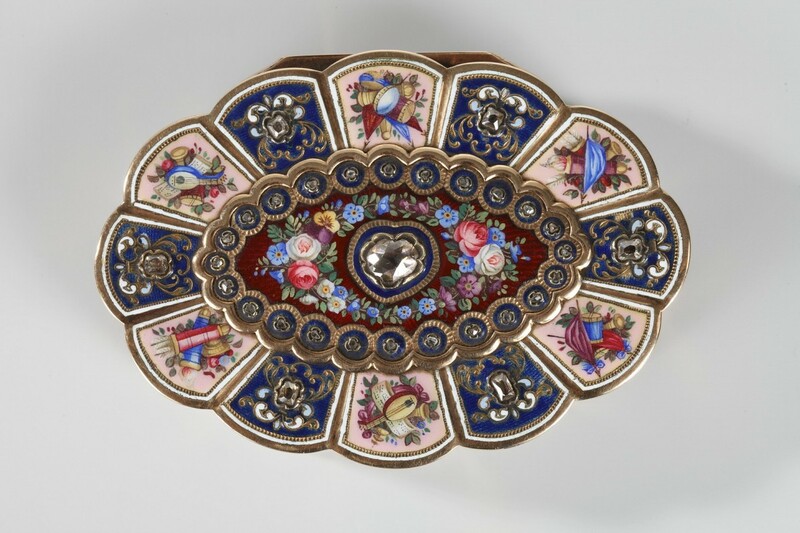 19th century work, created for trade on the Asian or Oriental market.